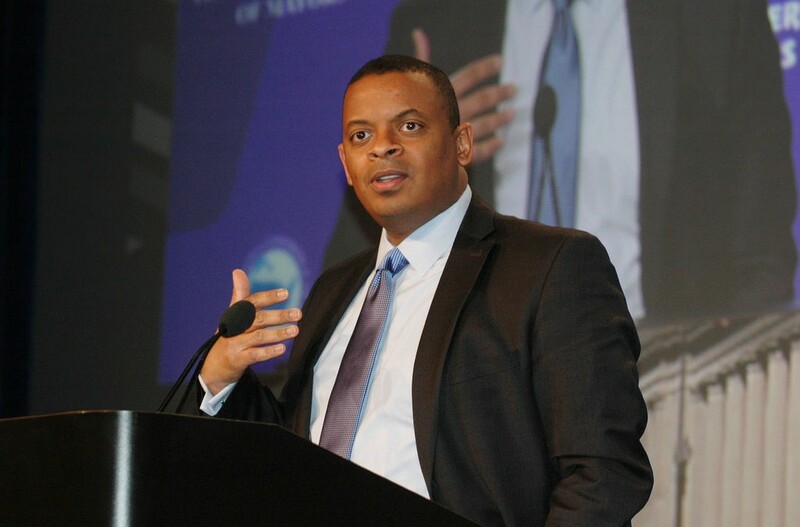 U.S. Secretary of Transportation Anthony Foxx will give the keynote address at the CUTC Annual Awards Banquet, on Jan. 9, 2016, at the Marriott Marquis Washington, in the Nation’s Capital. The Center of University Transportation Centers (CUTC) recognizes the outstanding contributions and accomplishments of students, faculty and industry professionals in the field of transportation, education and research. This year, Norman Mineta, former U.S. Secretary of Transportation, and Edd Hauser, director of the Center for Transportation Policy Studies at University of North Carolina-Charlotte, will be honored with Lifetime Achievement Awards. Fifty of the most outstanding students from University Transportation Centers across America also will be honored for their achievements and promise for future contributions to the transportation field. Established in 1979 by the major transportation research centers and institutes in the United States, CUTC provides a forum for the universities and learning centers to interact collectively with government and industry. CUTC membership represents 90 of the nation’s leading university-based transportation research and education programs. ARTBA manages the program under a contract from CUTC.